Lock in a great price for Barnes Fell - rated 9.8 by recent guests. Amazing place lovely hosts beautiful room great view! Amazing views and location. Very tastefully decorated, with useful kitchenette - very cosy “home from home”. Although within Ethan’s own home, very private suite. Had a wonderful stay. Ethna was the best host you could hope for, welcoming and attentive from the moment we arrived until check - out. She provided excellent local knowledge and recommendations and made sure that we had everything we needed during our stay. The location was absolutely perfect, being less than a 2 minute walk to the centre of Ambleside, and perfectly placed for a number of beautiful walks. The room was spotlessly clean, well equipped and very cosy. 10/10 and will definitely be back again! Ethna was very helpful and welcoming. Room was fantastic and very well equipped. Will definitely stay again when we are in the area. The view from the lounge was amazing -fabulous mountain view. Ethna was very friendly and helpful. Having a car parking space was great. The apartment was spacious and spotless. A lot of attention to detail, fresh milk and hot chocolate provided. Everything was there, hairdryer, dressing gown the lot. Affordable and delightful! Breakfast not included in charge, but fully fitted kitchen enabled us to cater effectively for ourselves. Separate lounge, bedroom and kitchen provided very spacious accommodation, fitted to a high standard. Good views over the valley. Ethna went out of her way to ensure we had everything we needed and was always available to offer guidance on the town's facilities. The bed in the room was especially comfortable and we slept like babies! And the views.....spectacular!! One of our bestsellers in Ambleside! 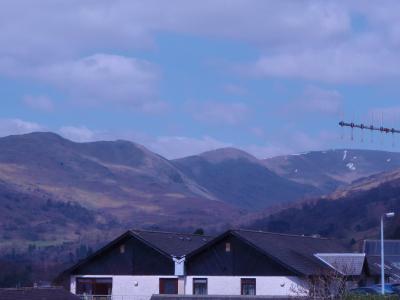 This property has views over the Lakeland Fells and also offers free WiFi. 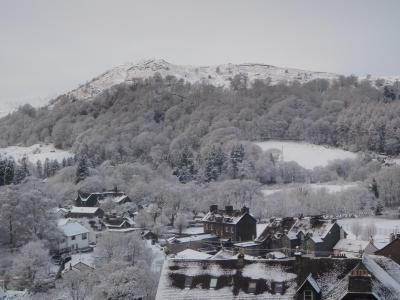 Barnes Fell is in an elevated position above the main village of Ambleside, yet just a 2-minute walk from the centre. There you can find a variety of shops, restaurants, cafes, takeaways, pubs and galleries, as well as a multi-screen cinema. 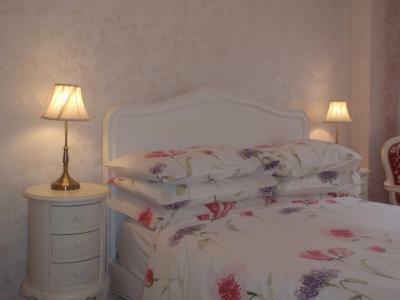 Both Suites and the en-suite bedroom are individually decorated. Both the Loughrigg and Fairfield Suites have their own designated private parking spaces. Barnes Fell is perfect for those looking for a relaxing rural retreat or a base from which to enjoy walks in the Fells. Windermere Station is only 5 miles away, the bus stop is 200 yards away and the property has secure bike storage on request. 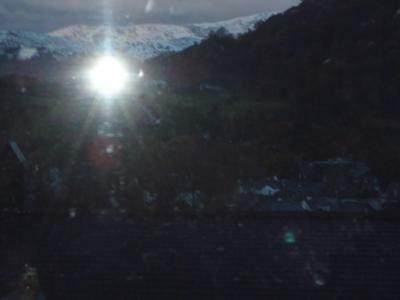 This is our guests' favourite part of Ambleside, according to independent reviews. 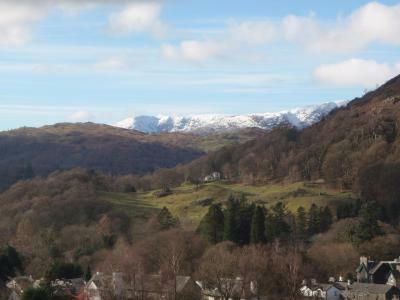 This property also has one of the best-rated locations in Ambleside! Guests are happier about it compared to other properties in the area. Barnes Fell has been welcoming Booking.com guests since 29 Oct 2008. When would you like to stay at Barnes Fell? The Wansfell is a cosy double en-suite room with a power shower It comes with coffee and tea making facilities and overlooks the Japanese-style garden. 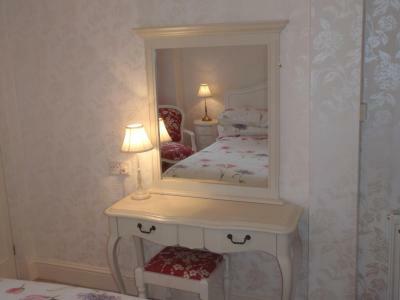 This room is ideal for short stays, or long weekends. 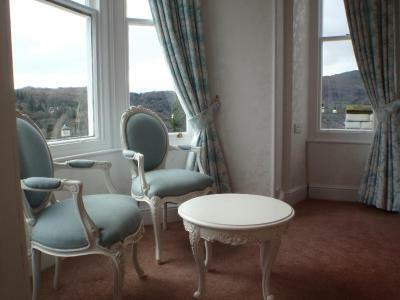 The Fairfield Suite contains a separate lounge with views over Loughrigg Fell and the Fairfield Horseshoe. It is equipped with a sofa and TV. The kitchenette comprises of a fridge/freezer, two-ring hob, microwave and dishwasher. The double bedroom overlooks the Japanese-inspired garden, and is furnished in a classic French interior design. The en-suite facilities feature a corner shower cubicle down 3 steps. The Loughrigg Suite contains a separate lounge with views over Loughrigg Fell and the surrounding countryside. It is equipped with a sofa, TV, and small dining table and chairs. 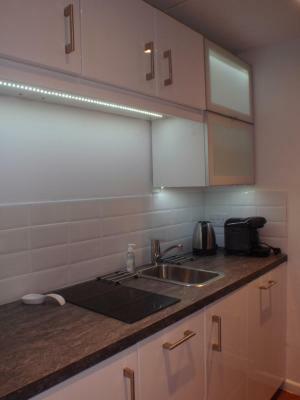 The kitchenette comprises of a fridge/freezer, two-ring hob, microwave, sink and dishwasher. The bedroom overlooks the Japanese-inspired garden, and is furnished in a classic French interior design and double bed. The bathroom offers views from the roll-top bath. There is a separate shower cubicle with a power shower. House rules Barnes Fell takes special requests - add in the next step! Barnes Fell accepts these cards and reserves the right to temporarily hold an amount prior to arrival. Please note, a cleaning service is not provided during the course of the guest's stay. Please note Barnes Fell offers room-only accommodation. Please inform Barnes Fell in advance of your expected arrival time. You can use the Special Requests box when booking, or contact the property directly with the contact details provided in your confirmation. Ethna is a marvelous host who makes you feel special and very welcome in her home. Our room was spacious and cosy. Nicely decorated. Lovely roll top bath. The views from the windows are spectacular. Enjoyed the self catering nature of our stay here and the comfortable bed. Would happily return and recommend to friends. The bed was very comfortable . We loved the extra space with the living room and the views were brilliant . Also it’s in the centre so great for bars and restaurants . Also walks from the front door so you can leave your car . 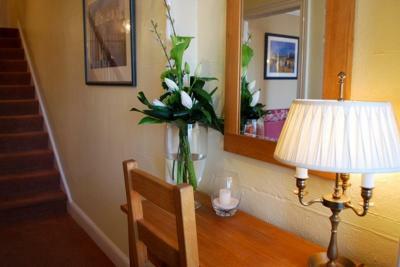 Gorgeous self catering space, beautifully decorated rooms. Felt really luxurious & spacious. Bonus of coffee machine which I hadn’t expected. Lots of attention to little details. Ethna couldn’t have been more accommodating providing lots of advice & recommendations for activities & places to eat. My girlfriend & I will definitely be back. Hidden gem in quiet spot five minutes walk from Ambleside village. Thanks for a lovely stay! Honestly can't rate this place enough, from the moment we walked through the door we were greeted by the lovely Ethna, who was amazing and attentive through out our stay, and was willing to offer help whenever we needed it! Our room was really nice and really clean and the bed was so comfortable, we never wanted to get out! When we did eventually move the location of Barnes fell is good with town being a 5 min stroll away! The room comes with a hair dryer and a heat mat for straighteners, which was handy because I had forgotten mine! We were given tea and coffee facilities, which came with little cakes which was a nice surprise along with the jar of sweets on the side of the bed! Honestly can not give this place a high enough review! she said she would even have us back despite breaking a lamp, which is good because we will definitely be back!